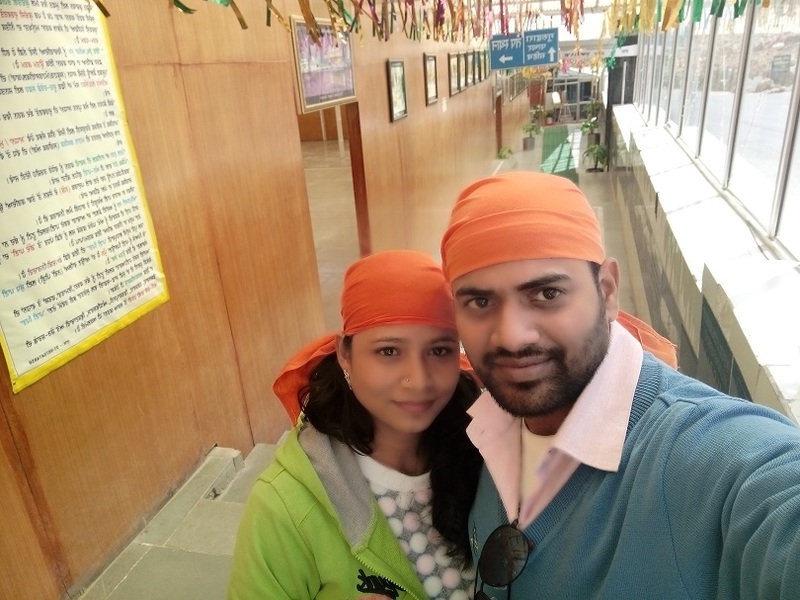 Welcome to Traveling To World: The Smooth way to World Discovery > Asia > Leh Travel Guide: Experience the most amazing sites of Himalayan Beauty! Leh doesn’t fail to surprise you with each visit. There is an indescribable charm which resides in the rugged landscape here. Apart from the rocky mountains, one’s eyes meet the elegant structure of the monasteries perched on rocky outcrops. The serenity of this place really allows one to have a rendezvous with nature. 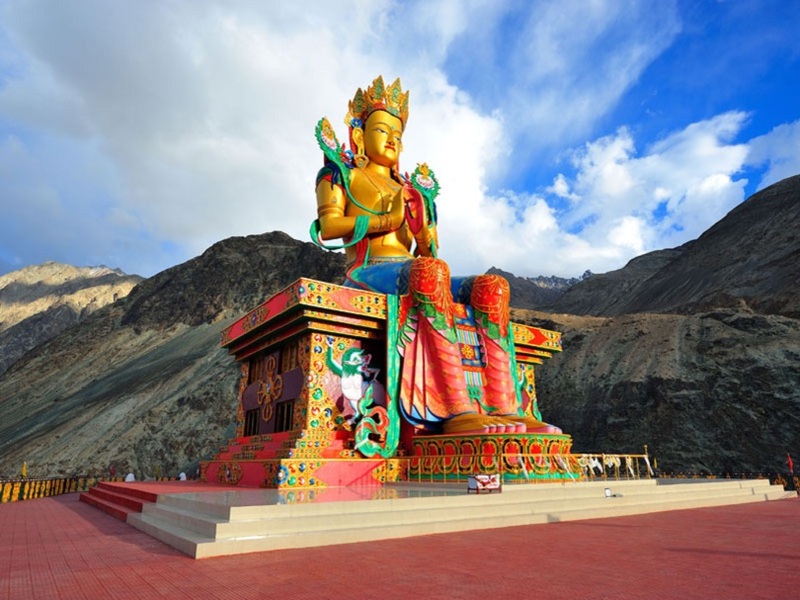 Leh Ladakh is also the land of mountain passes and is home to a number of fascinations which are worth checking out. Here, one comes across lakes whose beauty suggests their unearthly origins and valleys which seem to have dropped out from the skies. History, wildlife and natural beauty combine to make it a highly coveted tourist attraction. Have you fancied a trip to Leh recently? 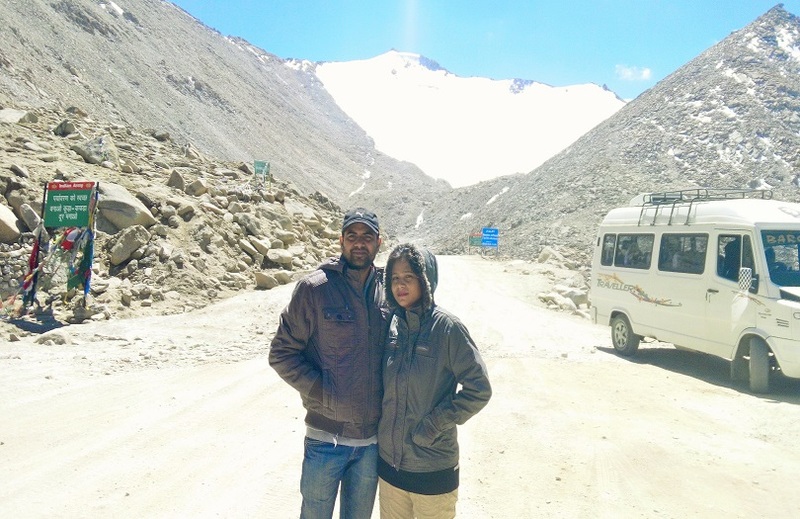 This Leh travel guide tells you the places which you should visit during your visit there. 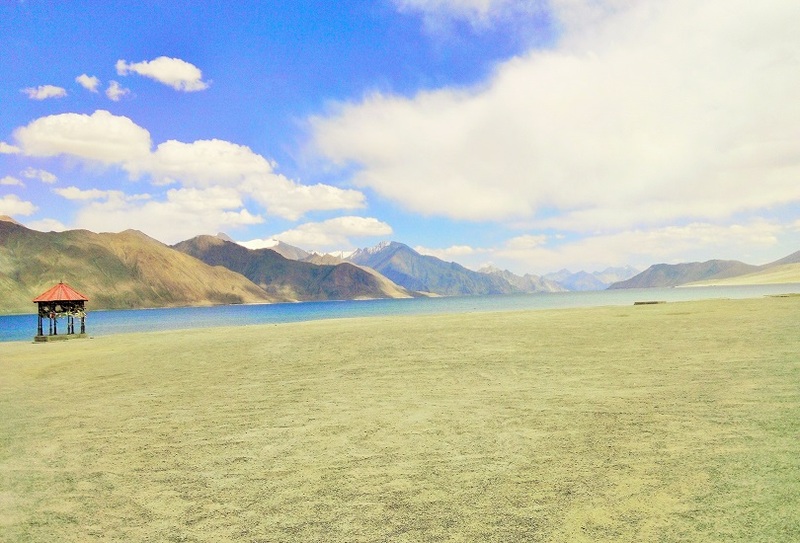 Pangong Lake, also known as Pangong Tso Lake is an endorheic lake situated in the Himalayas at a height of about 14,270ft. The waters of the lake, which extend to about 5km in width, are crystal clear and form a perfect image of the immediate surroundings. The popularity of the lake also stems from its propensity to change colors with the change in position of the sun. During the winters, the entire landscape is frozen, allowing visitors to engage in ice skating. Further, the lake is also visited by several migratory birds like seagulls and cranes. 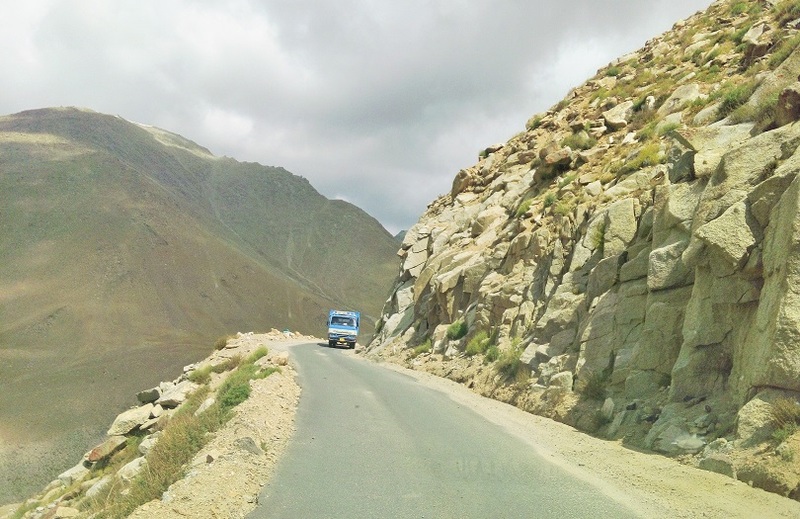 Perhaps, one of the best places to visit in Ladakh is the Magnetic Hill. It’s believed that vehicles here are able to overcome gravity and move upwards on the hill when marked at a particular location. There are many theories behind the existence of this eccentric phenomenon. It’s believed that the absence of a visible horizon and backdrop scenery cause the slightly downward sloping stretch to appear upward, thereby creating the illusion of vehicles moving upwards. 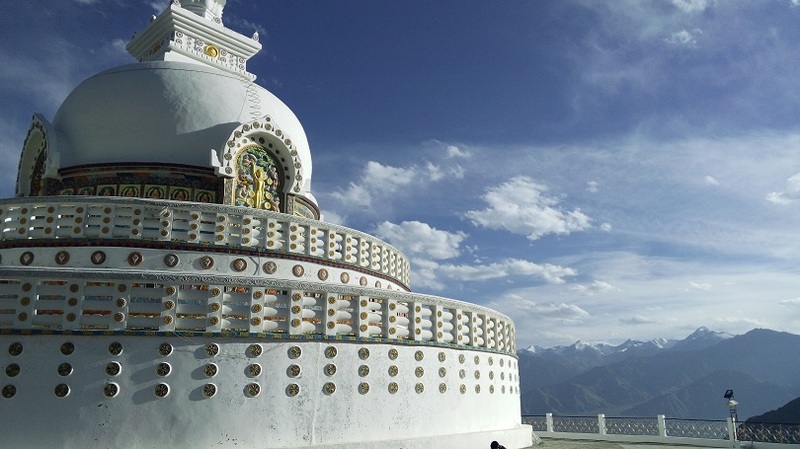 Shanti Stupa, perched at a height of 13,999ft, overlooks the Leh city and provides visitors a breathtaking view of the snowcapped mountains. Reaching here is quite a daunting task in itself, as one is required to climb a flight of 500 stairs to reach it. The stupa is a two-level structure, with the first level consisting of a Dharmachakra and featuring a central image of Lord Buddha. The second level depicts the birth of Buddha and his death, along with other images of meditating Buddha. The beauty of this structure is enhanced during the night when it’s illuminated in the white light. Gurudwara Pathar Sahib was established in the 1970’s to honor the founder of the Sikh religion, Guru Nanak. It’s believed that when Guru Nanak visited Ladakh, a demon tried to kill him by throwing an enormous boulder at him. This demon had been terrorizing the entire village. However, the rock, upon touching Guru Nanak, turned soft like molten wax. The demon, upon realizing that Guru Nanak was a divine power himself, underwent a transformation. Guru Nanak has since then been revered by the lamas and the boulder, which is supposed to have touched Guru’s body parts, is revered as a divine boulder. 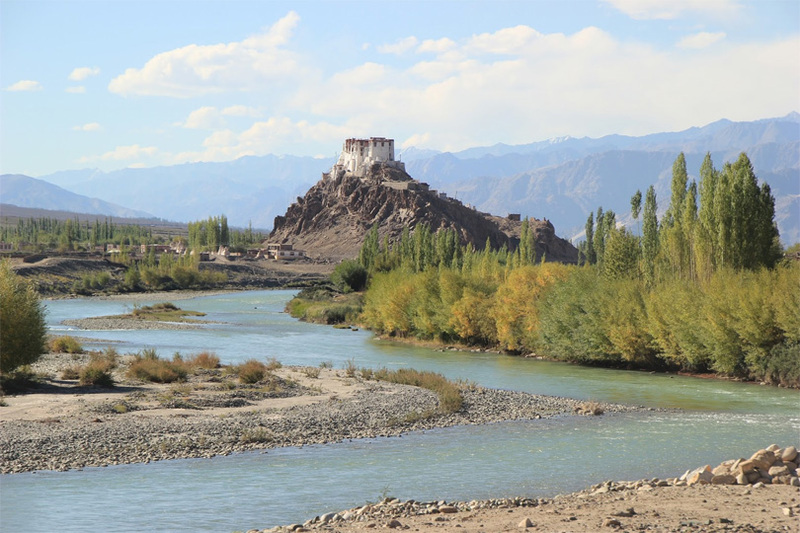 One of the most fascinating sights in Leh is the Sangam Point, which means the meeting point of two diverse rivers, the Indus and Zanskar. “Sangam” denotes convergence or confluence. The locals don’t attach any religious or spiritual significance to this meeting point. However, for the tourists, it’s a spectacle not to be missed. While the Indus looks more greenish, almost bluish, the Zanskar is more muddy in appearance. When viewed aerially, it presents a fascinating appearance. 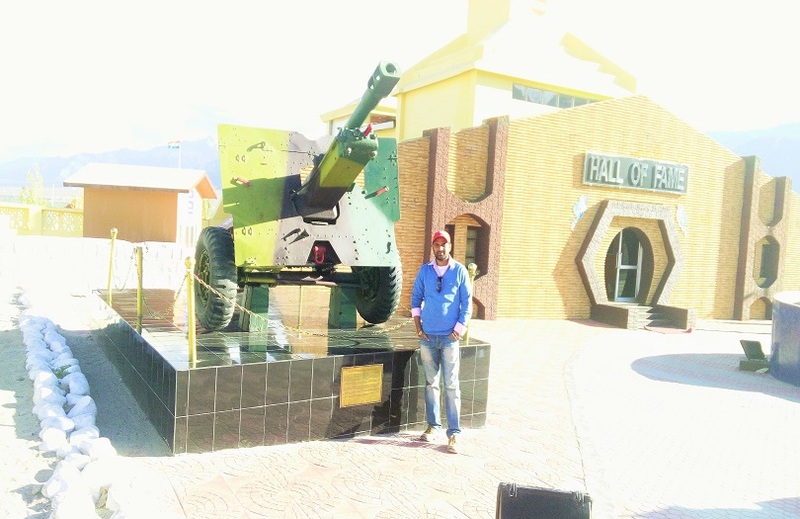 Hall of Fame museum, situated in Leh, was established in 1986 to commemorate the valor, achievements and sacrifice of the Indian Army in various operations in Ladakh. This beautiful museum has also topped the list of five Indian museums which figured among the 25 best museums of Asia. 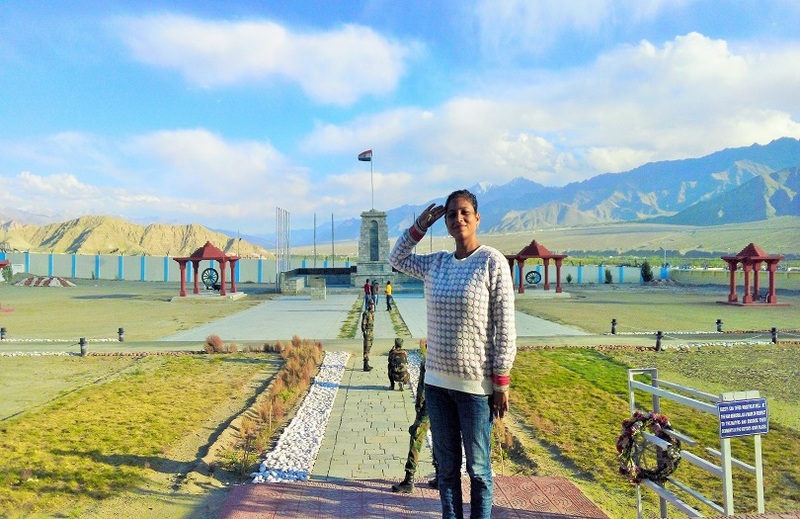 Located near the Leh Airfield, it’s maintained by the Indian Army and pays tribute to the bravery of the soldiers who attained martyrdom in the Indo-Pak wars. Besides, one can also get information about Ladakhi history and culture here. 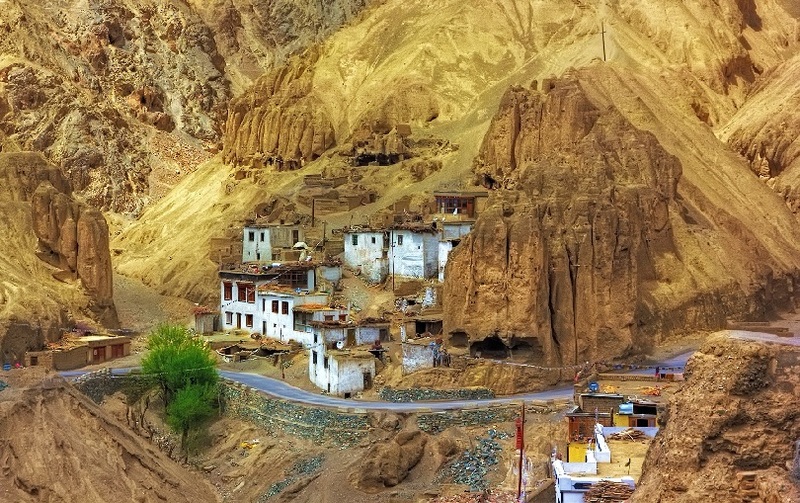 The monasteries in Ladakh are a treasure house of knowledge and information regarding Buddhist culture and tradition. However, one monastery worth visiting is the Thiksey Monastery. The biggest monastery in Central Ladakh district of Jammu and Kashmir, it’s also referred to as the “Mini Potala” of India due to its striking similarity to the Potala Palace in Lhasa, Tibet. One of the major attractions here is the statue of Maitreya, or future Buddha, which covers two floors of the monastery which is 40ft in height. The other major attraction is the Tara temple of Goddess Tara. 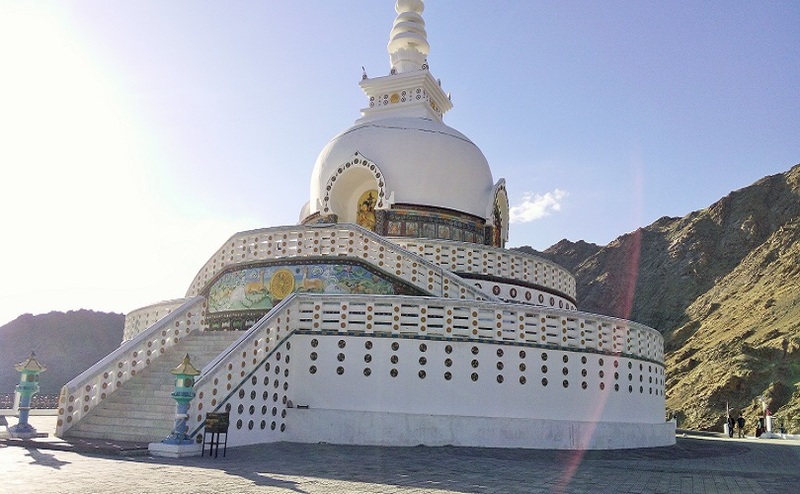 It’s also home to rare and precious stupas, thangkas, wall paintings and swords. 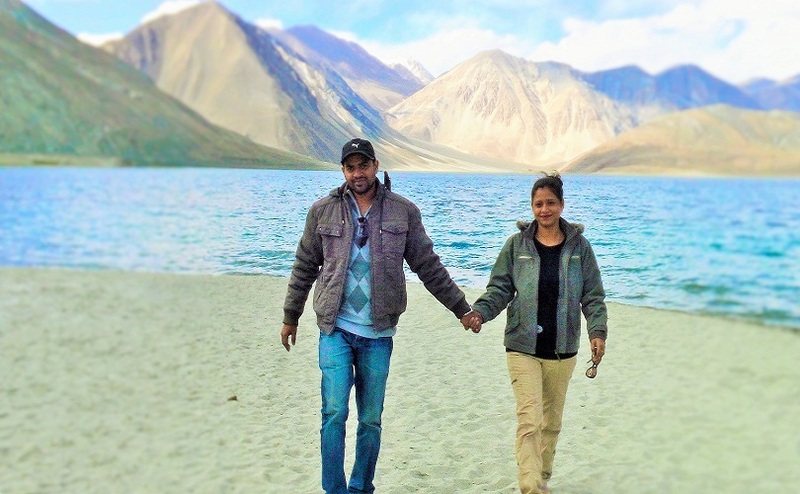 If you are looking for the ultimate thrill during your holiday in Ladakh, here it is! 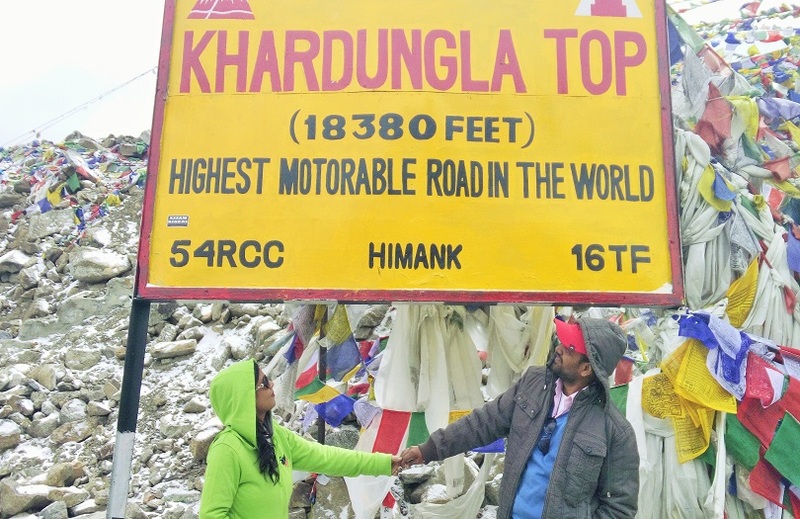 Khardung La Pass, lying north of Leh and serving as the gateway to Shyok and Nubra valleys, holds the distinction of being the highest motorable road in the world. Built in the year 1976, it was opened to motor vehicles in 1988 and has since witnessed numerous motorbike, mountain biking and automobile expeditions. Historically too, Khardung La pass was important because it lay on the major caravan route from Leh to Kashgar in Central Asia. 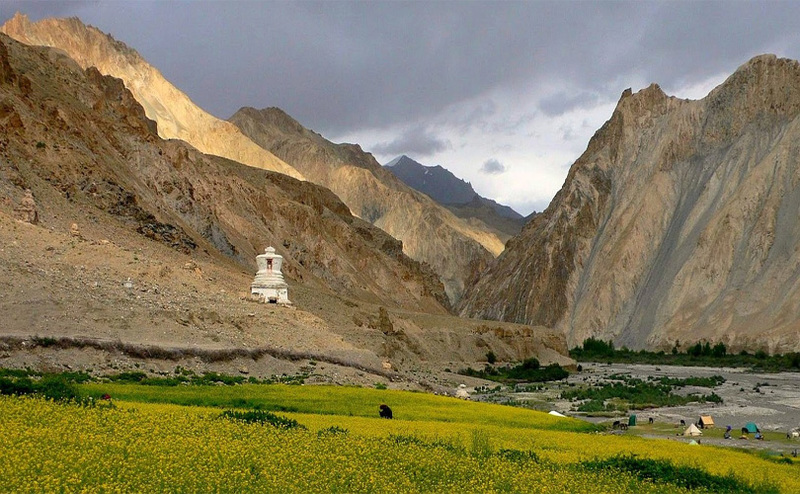 Read more about: Experience the Best of Himalayas with a Refreshing Trip to Ladakh. 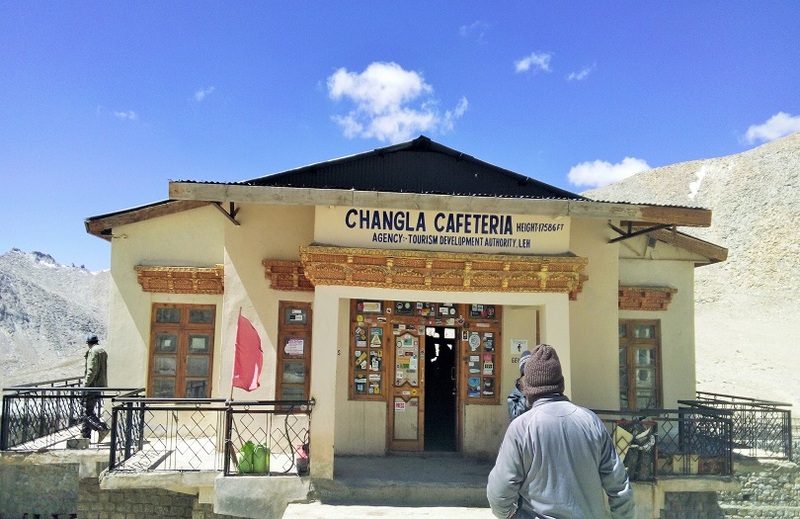 Chang La, located at an altitude of 17,590ft, is said to be the second highest motorable road in the world. 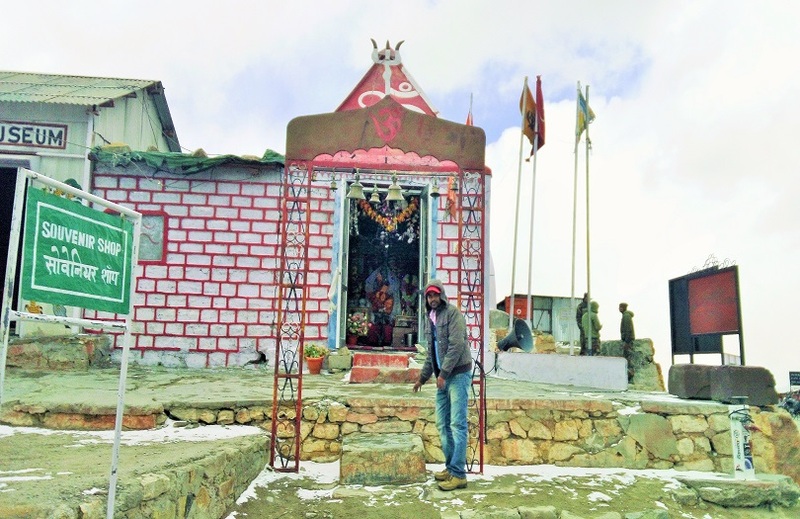 The Pass, as well as the temple, has been named after Sadhu Changla Baba. The place is famous for its scenic beauty which attracts tourists from all over the world. These high altitude fascinating passes are the reason why a road trip to Ladakh is the preferred mode of trip. 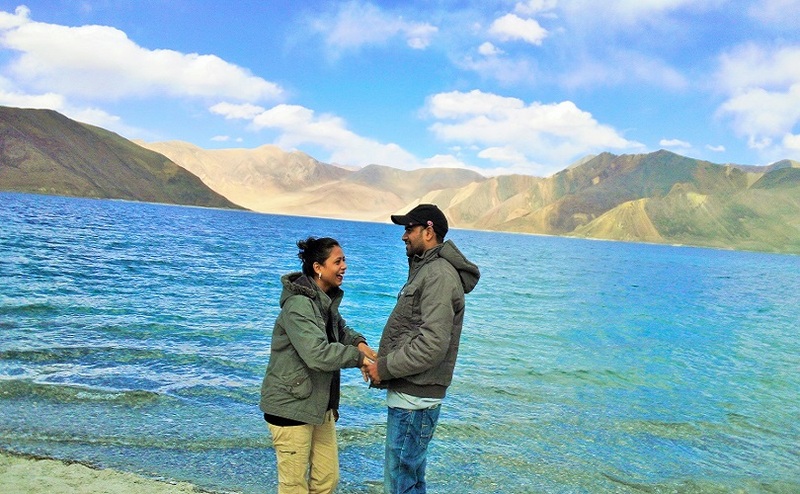 To reach the famous Pangong Tso Lake, one of the highest altitude lakes in India, one should cross this pass. 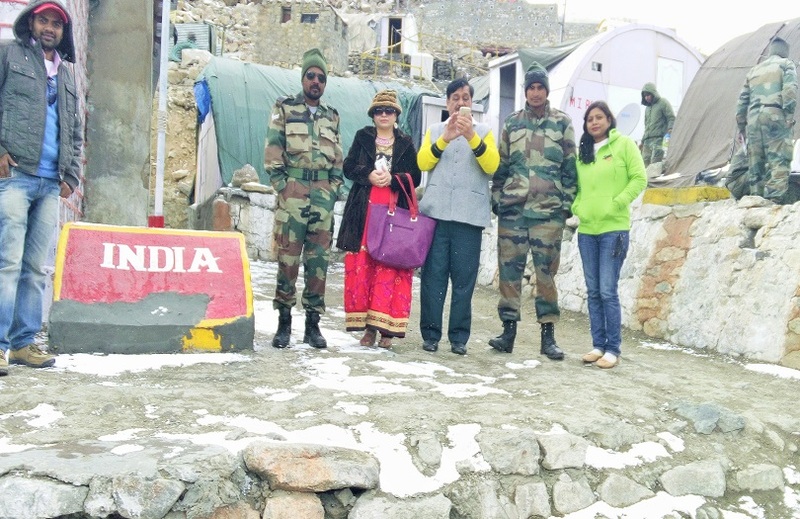 There is also a tea point at Changla Pass where the Indian Army serves tea to the tourists. Namgyal Tsemo Gompa, founded in the 15th century, is famous for its solid gold idol of Maitrieya Buddha which is three stories high. 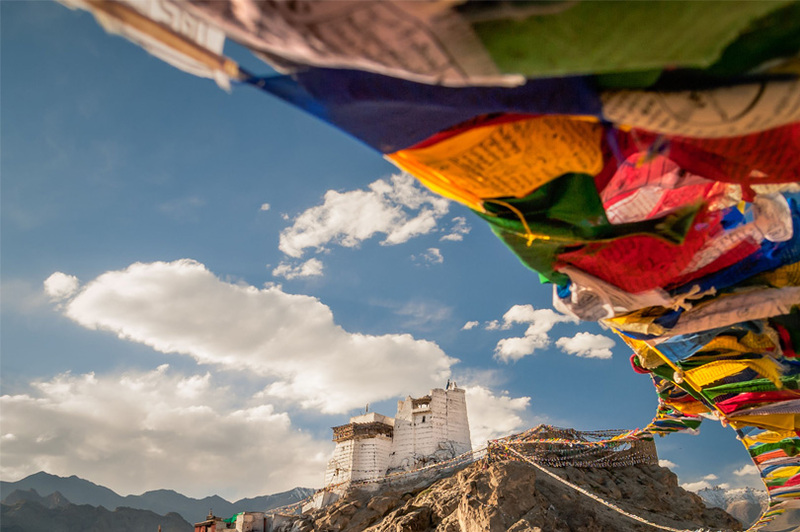 Perched atop a mountain behind the Leh Palace, the monastery offers enchanting views of the countryside, the graciously flowing Indus River and the brilliant snowcapped peaks of Zanskar Range. The gompa was founded by King Tashi Namgyal, an ardent follower of Buddhism, in 1430 AD. It consists of an assembly hall and a temple adorned with frescoes, paintings and statues of Buddha. 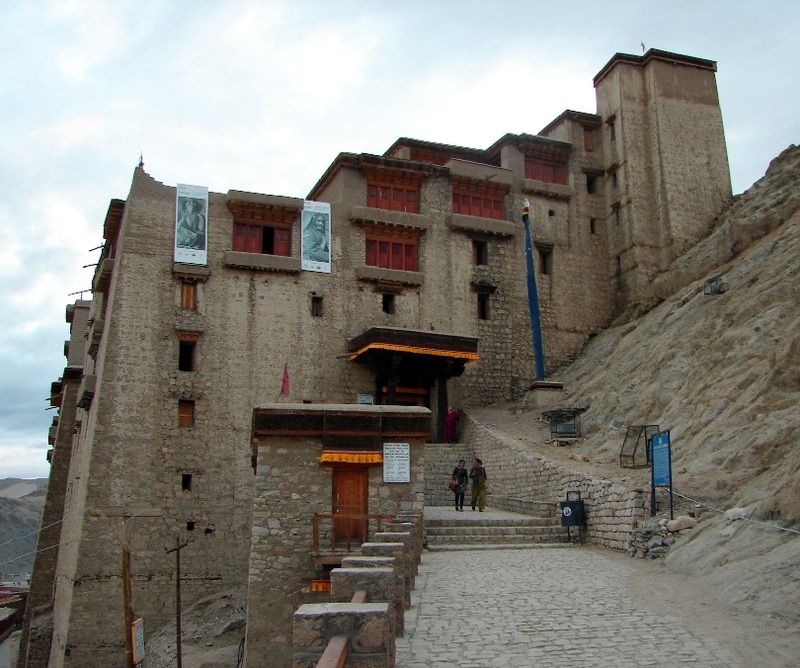 Besides, the nine story Namgyal Tsemo palace is another major attraction here. Stakna Monastery was founded by a Bhutanese scholar and saint by the name of Chosje Jamyang Palkar, the renowned scholar and saint, in the late 16th century. Stakna means tiger’s nose, and the monastery derives its name from the hill on which it is located. The main assembly hall, known as Dukhang, is adorned with paintings of Sakyamuni, Tsephakmad, and Amchi. Paintings of Bodhisattva, Tshong-san-Gompa, and Padma Sambhava can be found parallel to the hall. From here, one can get stunning views of the Indus River down below. One of the best places to visit in Ladakh are the monasteries. Hemis Monastery is one such monastery. 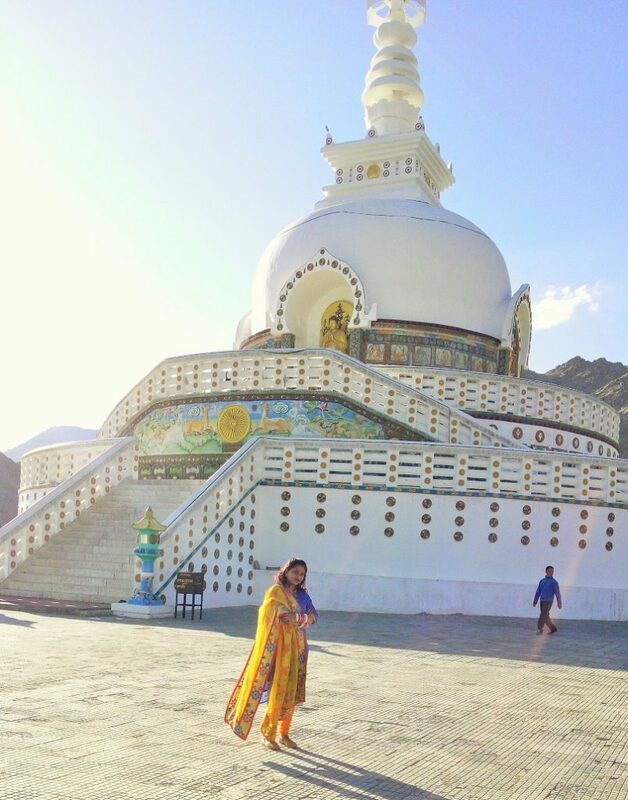 Located in the south of Leh on the west banks of the Indus River, this monastery is enveloped by spectacular mountains. The main building, which has white walls, are decorated with religious figures. One can also find a library here which houses Tibetan style books and a valuable collection of Thangkas, gold statues and stupas embedded with precious stones. 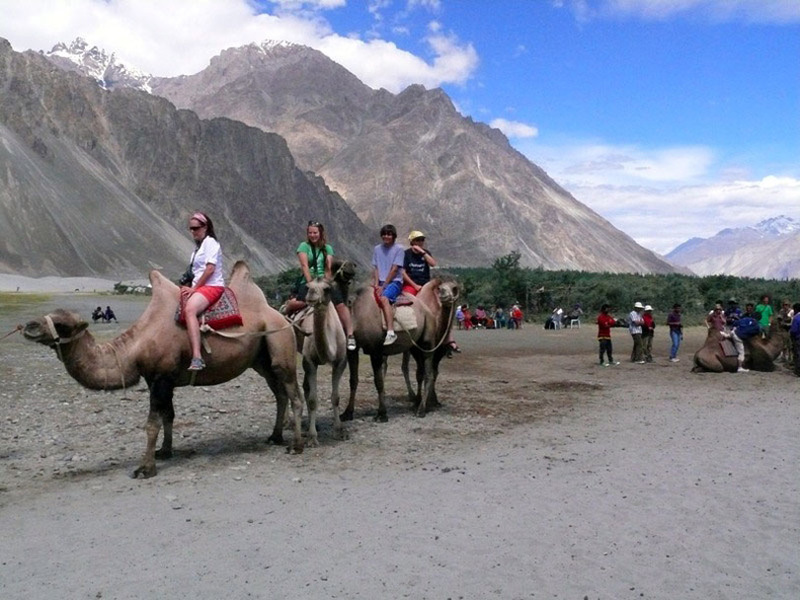 Nubra Valley, located about 150km north of Leh, is the meeting point of rivers Shyok and Siachen. This valley separates Ladakh from the Karakoram Ranges along with the famous Siachen Glacier which lies to the north of the valley. This place houses several tourist attractions. One of them is Yarab Tso Lake, which is considered to be holy. Diskit Monastery, the largest and oldest monastery here, is another famous attraction. A particular fascination here is the camel safari in the Hunder Sand Dunes. The Bactrian camels found here are two humped and are more hairy and shaggy than the others. 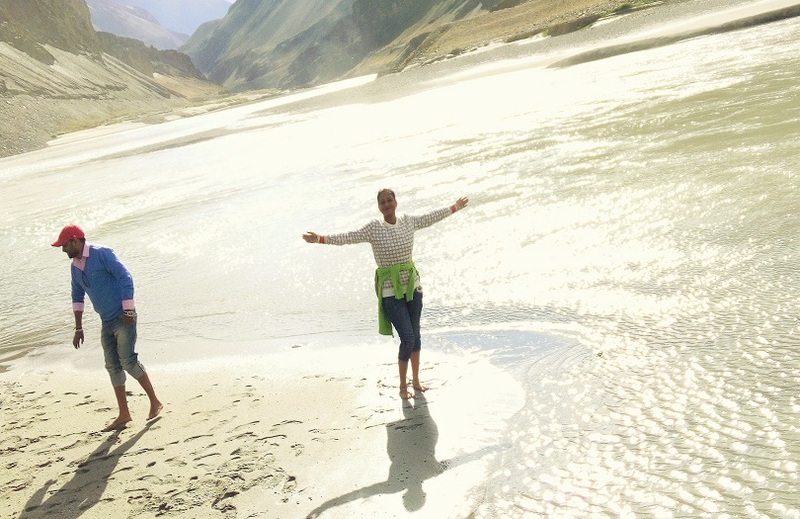 Perhaps, there is no other valley more attractive and delightful than the Zanskar Valley. 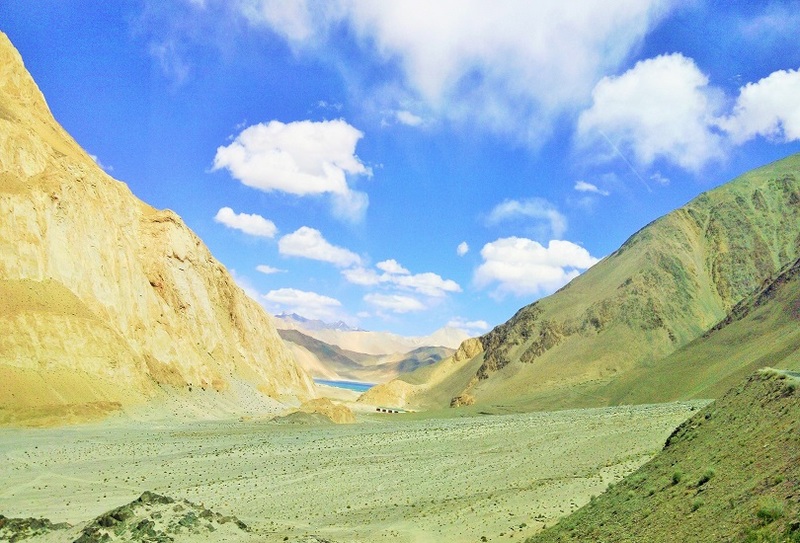 It is situated southwest of Leh and southeast of Kargil, and the road leading towards it is full of fascinating sights. The landscape here showcases wonderful contrasts of nature. Jagged peaks overlook the undulating meadows below, while the azure skies bring an element of perfection to the entire picture. Nature lovers have much to look forward to here. Trekking is another favorite activity with the visitors. 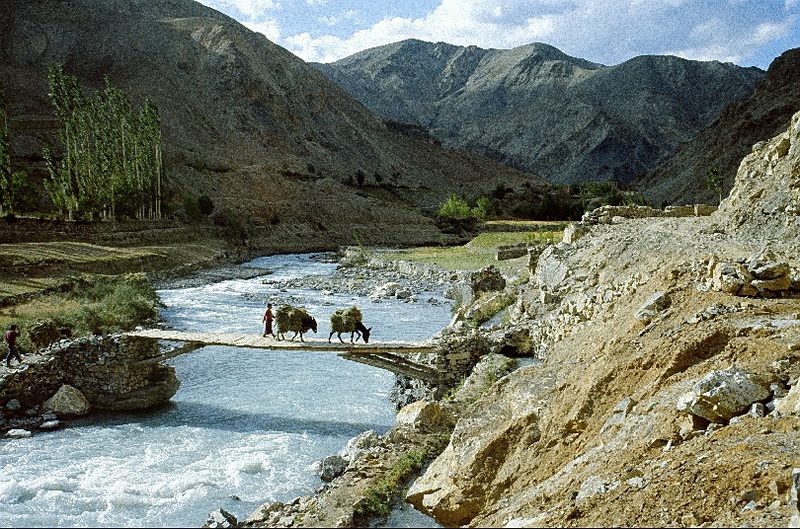 The pleasures of trekking in Ladakh is best experienced in Markha Valley. Its unique topography lends itself to trekking, and is highly sought after by avid trekking enthusiasts. Besides providing spectacular views, this area is also famous for its Tibetan Buddhist monasteries and remote villages. 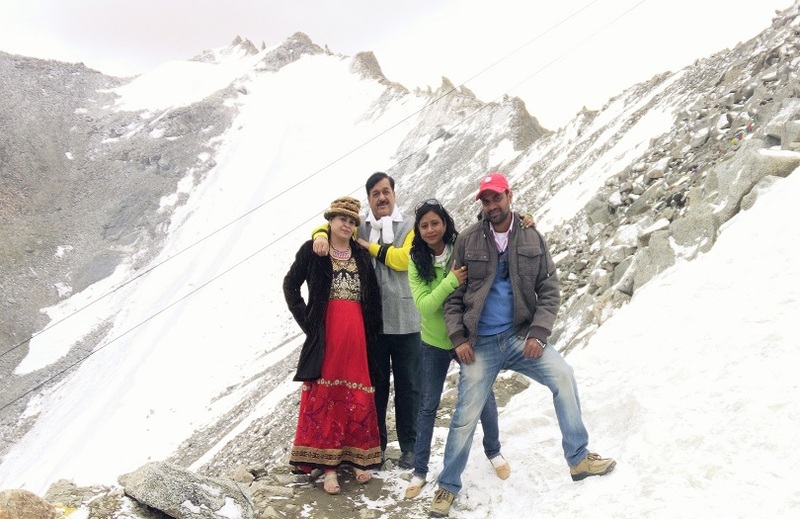 Trekkers also love visiting this place due to its proximity to Leh. One also finds an old dilapidated yet picturesque fort here. This valley also gives visitors an insight into Ladakh’s ancient civilization in the form of castle ruins and forts. Lamayuru, located on the Leh-Srinagar highway, is also called Moonland by tourists because its landscape bears a strong and eccentric resemblance to the surface of the moon. The peculiar odd geological formations here arouse the curiosity of the visitor. One of the prime attractions, other than its landscape, is the Lamayuru Monastery. It’s adorned with scary masks and wonderful frescoes. 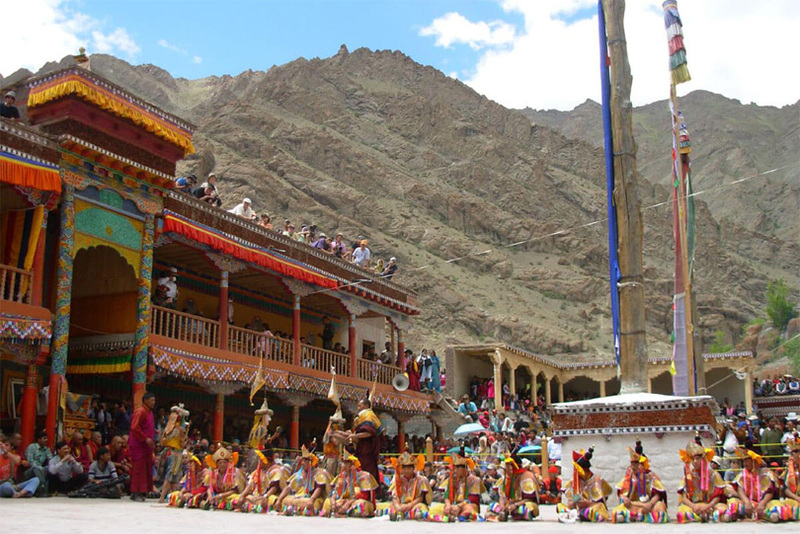 The monastery also holds a festival called Yuru Kabgyat whose highlight is the wonderful mask dances presented by the lamas. 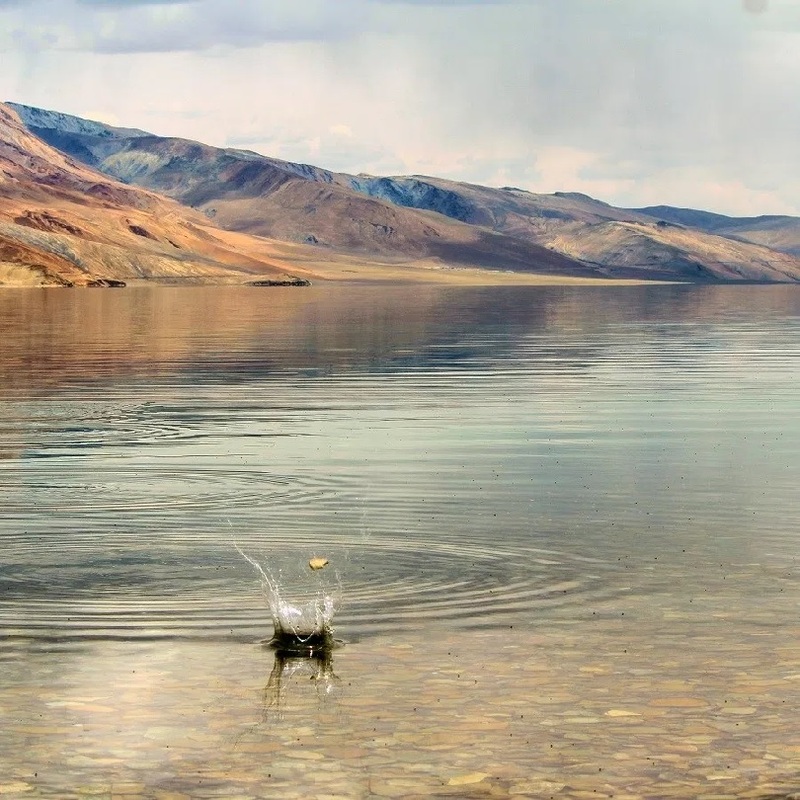 Tso Moriri Lake, situated in the Changthang region of Ladakh, can easily lay claim to being one of the most beautiful, serene and high altitude lakes in India. About 7km wide and 19km long, this lake is part of the wetland reserve under Ramsar site and is also known as Tso Moriri Wetland Conservation Reserve. The water of this lake, colored in multi-shades of blue, appear to be in a state of deep meditation. Although this place exudes a romantic aura, the terrain here can be very unforgiving, especially in winters. 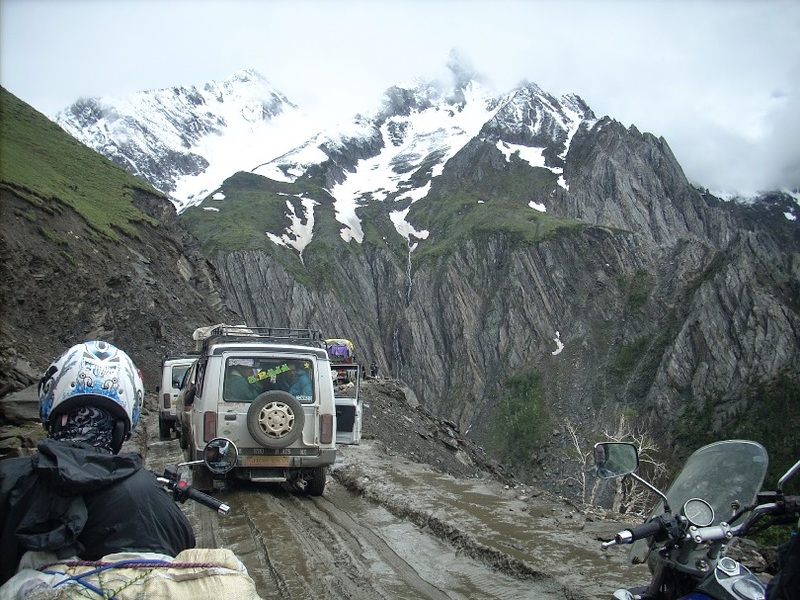 Zojila Pass, also known as Zoji La Pass, is a high mountain pass located between Srinagar and Kargil. 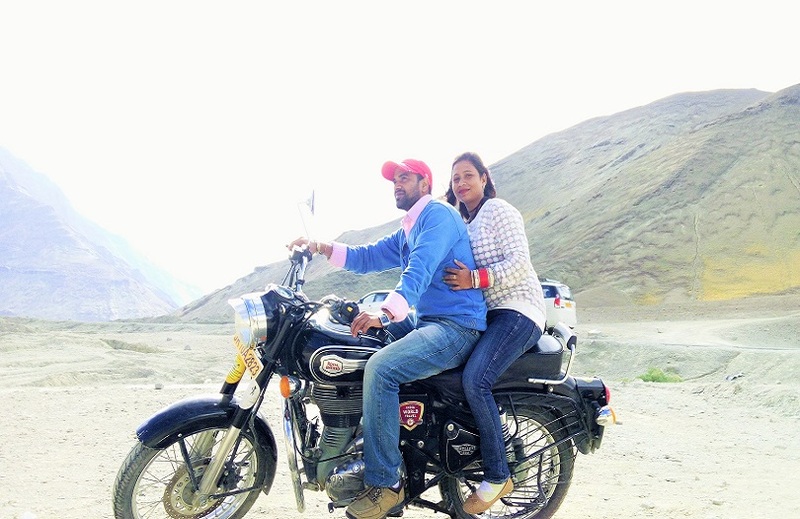 Seated at an incredible height of 11,500ft above sea level, it’s the second highest pass after Fotu La on the Srinagar-Leh National Highway. It’s believed that crossing this pass requires one to possess an iron heart because the road which cuts through the mountains is a small winding one and leaves no rooms for errors. However, during the winters, the road becomes inaccessible due to heavy snowfall. Looking for the largest national park in South Asia? Head to Hemis National Park. 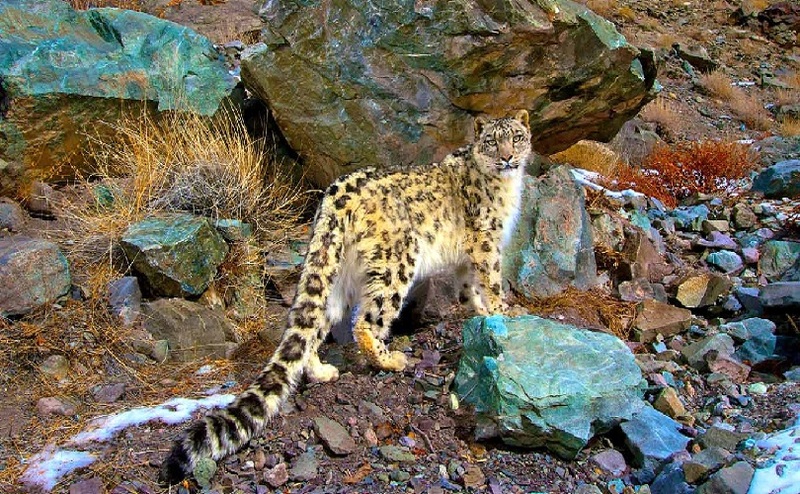 Located in the northeastern part of Ladakh district in Jammu and Kashmir, this park stretches to over 4,400 sq.km, and is home to almost 16 species of mammals and 73 species of birds. It is the abode of several endangered animals like leopard, Asiatic Ibex, Eurasian brown bear and so on. This place is a haven for bird watchers. It is home to an interesting variety of birds like Tickell’s Leaf Warbler, Streaked Rosefinch, Tibetan Snowfinch and Chukar, besides others. 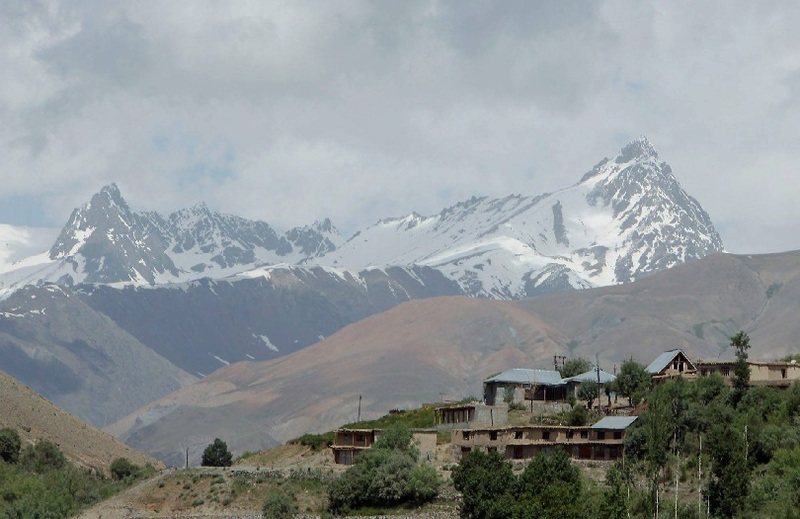 The area of the park also covers several villages, the 400yr old Hemis Monastery and the Stok Kangri peak. Leh Palace, also known as ‘Lhachen Palkhar’, is undoubtedly one of the most interesting places to visit in Ladakh. The palace bears a stark resemblance to the Potala Palace in Lhasa, Tibet. The construction of the palace began in the 16th century and was completed in the 17th century. From the roof top of the palace, one can get magnificent views of the Stok Kangri and Ladakh mountain ranges. 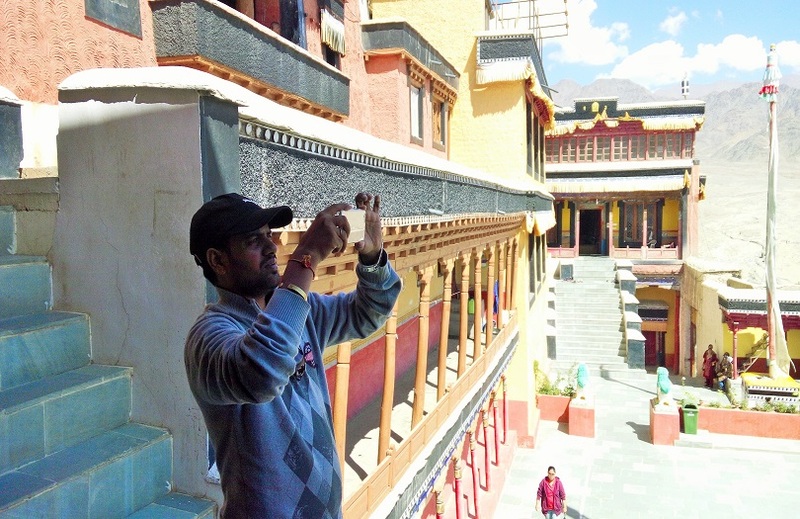 The walls of the palace are adorned with old pictures and paintings which include Tibetan thangka or sooth paintings. One also comes across a rich collection of crowns, jewelry and ceremonial dresses inside the palace. 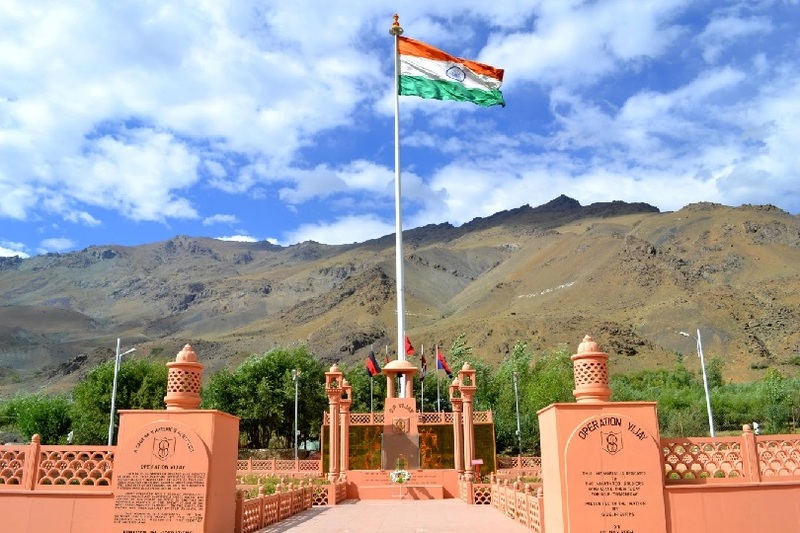 Kargil War Memorial was built by the Indian Army following the war with neighboring Pakistan in the late nineties. It showcases the sequence of events which occurred during the war, along with the details of the Indian Army personnel who sacrificed their lives while recapturing some of the peaks occupied by the Pakistan Army like Tiger Hill and Tololong. The prime attraction of the memorial is the Sandstone Wall which contains the names of all the Indian army personnel who lost their lives in the war. 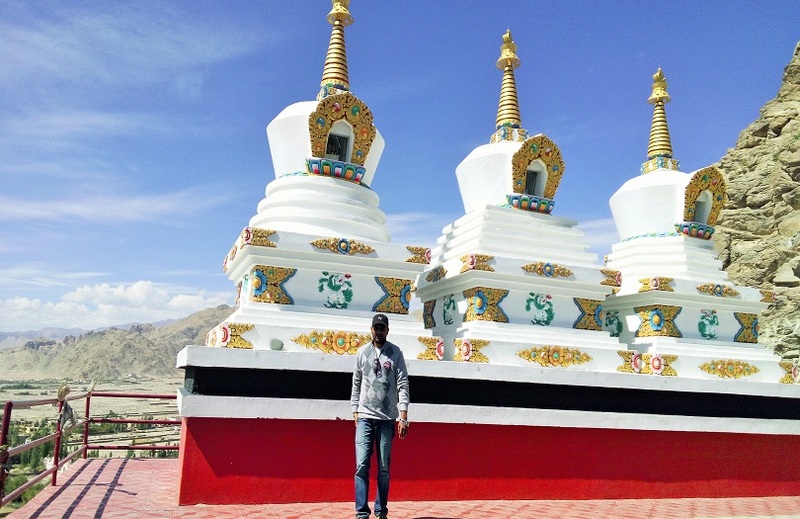 Diskit Gompa, or monastery, is the largest and oldest monastery in the Nubra Valley. Belonging to the Gelugpa order or the Yellow Hat sect of Tibetan Buddhism, it was founded by Changzem Tserab Zangpo, the disciple of Tsong Khapa, in 14th century. 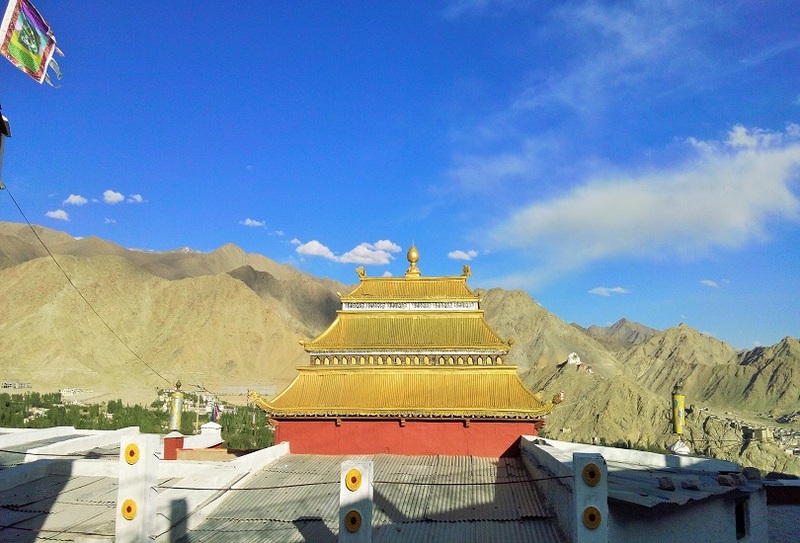 The roof of the monastery offers visitors incredible views of the Nubra Valley. Besides a statue of Maitreya Buddha in the prayer hall, the monastery also contains a prayer hall, a huge drum and several images of the fierce guardian deities.